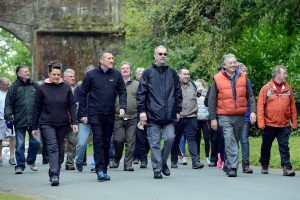 On Saturday 13th September members of the Mark Province of Northumberland with friends and family held a sponsored walk through Hulne Park, as their contribution to the national Mark Benevolent Fund walk which raises money used to support a number of charities countrywide. 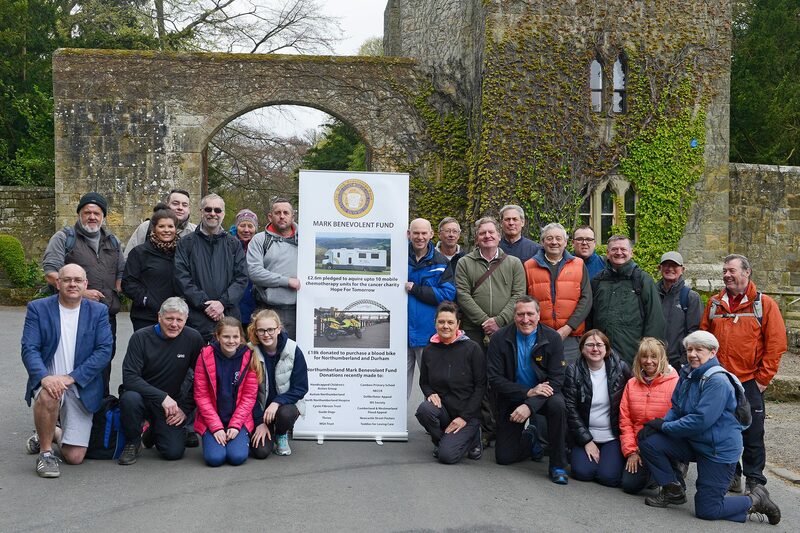 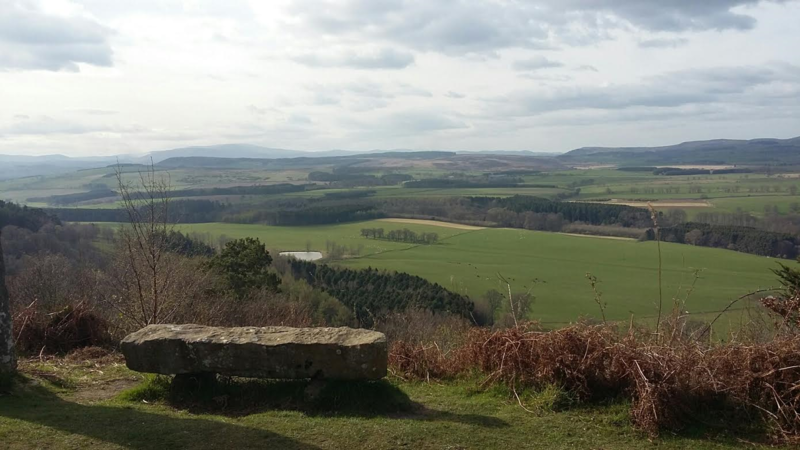 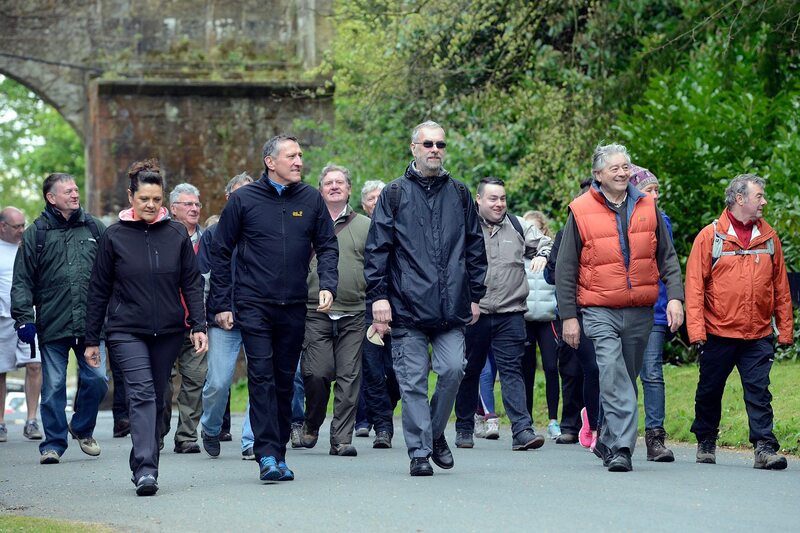 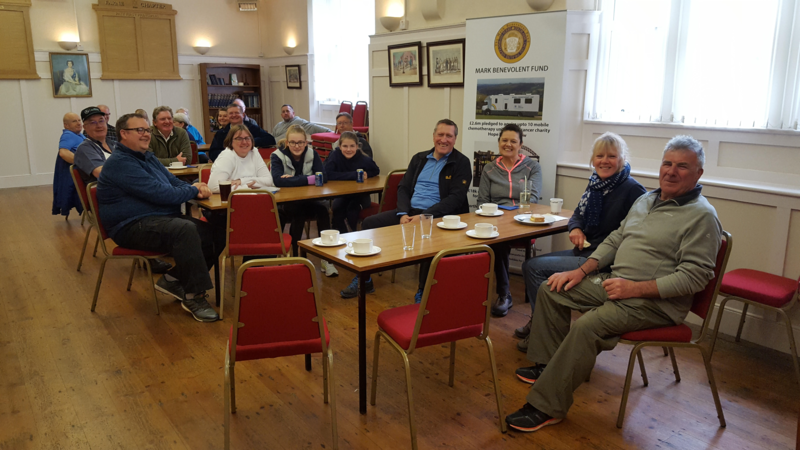 The photos show the walkers just before the walk started outside the gate house at Hulne Park, followed by the PGM leading the group off, plus a splendid view of Northumberland and finally the group enjoying a cuppa and sandwiches at Alnwick Masonic kindly arranged by WBro James Thompson. 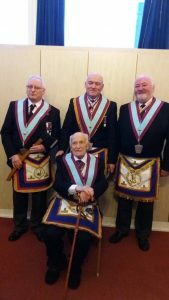 Hit the link below for further photos and information. 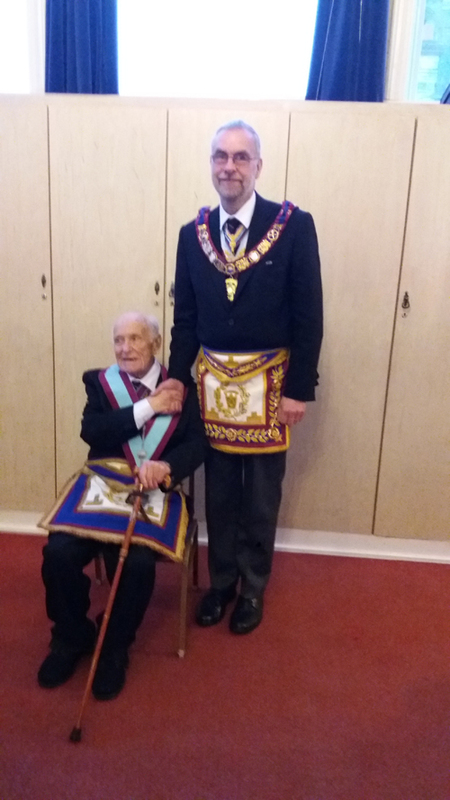 The following photographs show Matty Usher of Grainger Lodge of MMM No. 1147 on Friday 28th April 2017 with the PGM and Officers of the Lodge namely Peter Rowland, Brian Welsh (Master) and Alan Redford when Matty received his 50th Certificate. To see an enlargement, just click on a photo.